This way to download Windows 10 to ISO is not illegal, it is even Microsoft that offers a specific tool for this operation. 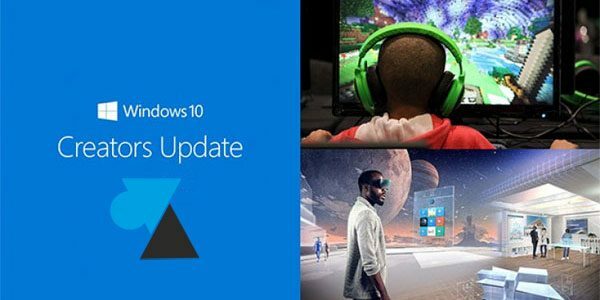 in 2017 update for Windows 10 is called "Creators Update" and was released on April 11th. This new version brings many new features here and it is easy to install this update on an existing PC . 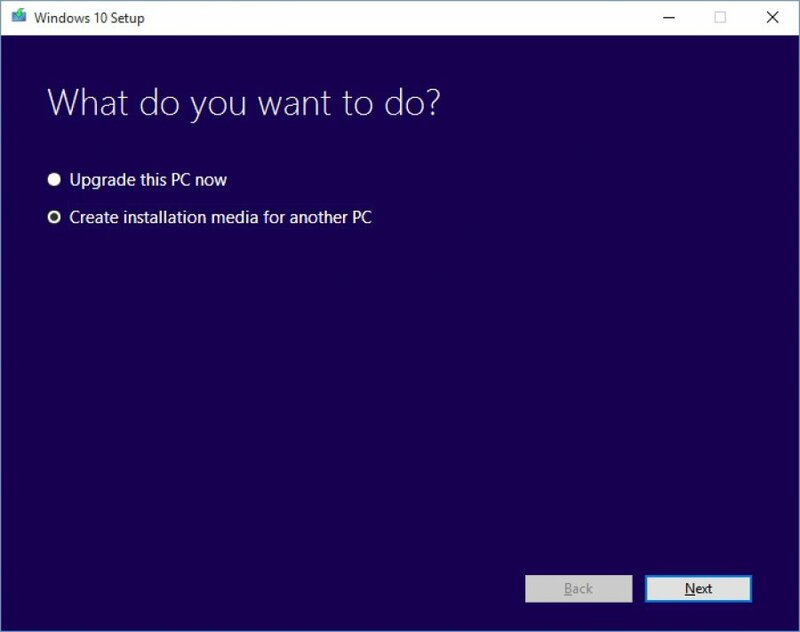 But when you want to reinstall your computer, because of a problem or to restart on a healthy basis, it is simpler to have the final version rather than install Windows 10 first version and have to download a few GB Windows Update. This tutorial shows how to download the complete installation in ISO format of Windows 10 version 1703, Creators Update . For computer technicians, For business professionals or just geeks who regularly reinstall their machine (s), having the latest Windows 10 in ISO saves time to create virtual machines, make it a bootable USB key, burn a DVD or just keep a history of the different versions. In addition, an ISO file can easily be exchanged via USB key, external drive or via Internet (via FTP or a cloud service for example). This way to download Windows 10 to ISO is not illegal, it is even Microsoft that offers a specific tool for this operation. 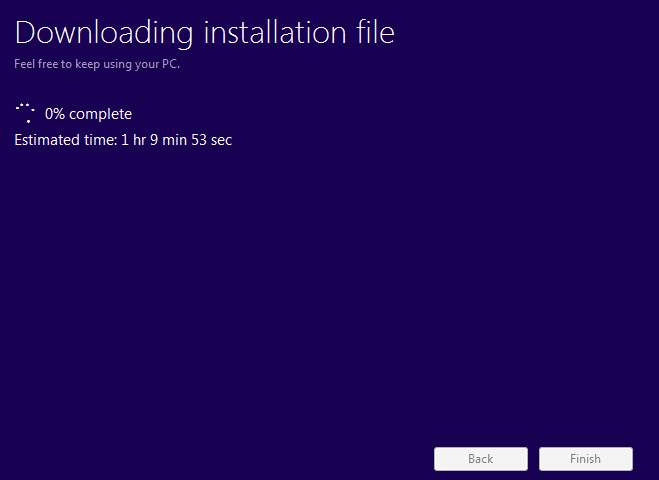 It is common to have to reinstall an operating system and Microsoft does not put a stick in the wheels of experienced users and professionals who need an up-to-date installation to format and restart computers. It is not necessary to search for a hacked version, a crack or a keygen, this legal and free ISO file is used with your Windows 10 product key or will use the license integrated in the Bios of the computer, if it was Purchased with Windows 10 preinstalled. 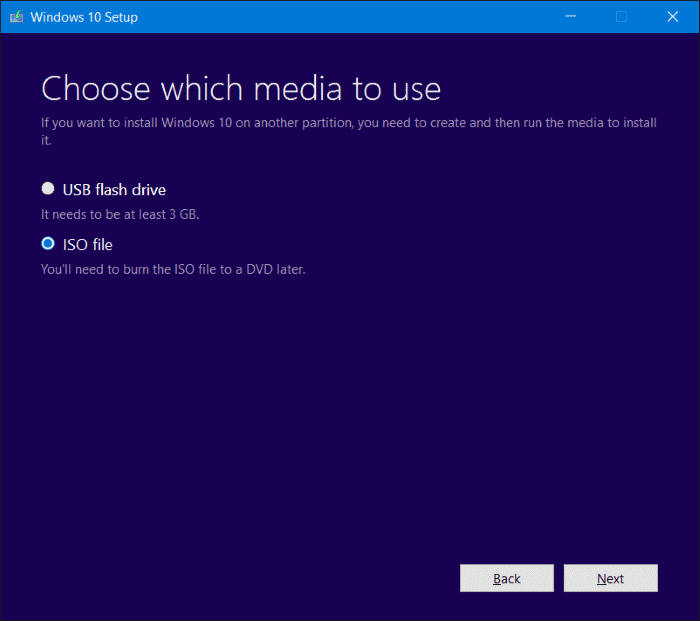 This ISO will be used to install Windows 10 Family (Home), Education and Pro (Professional). The edition can be chosen at the beginning of the installation or will be defined according to the serial number entered. 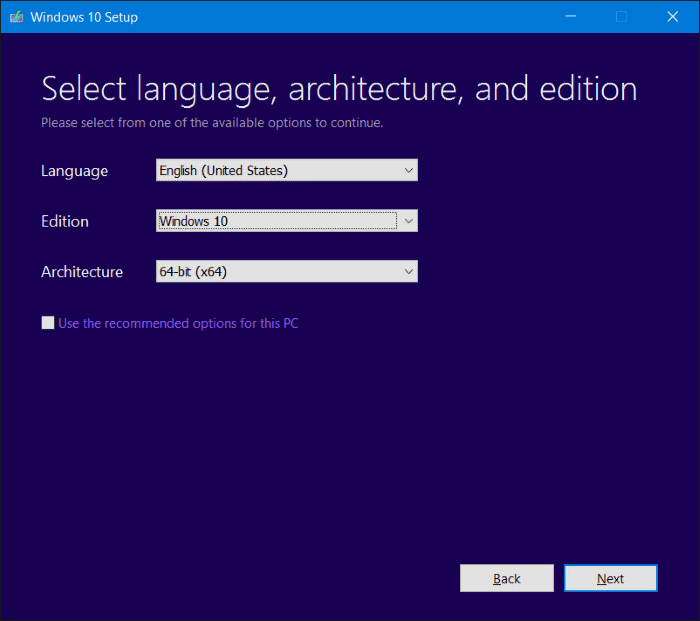 Also, but less used, this ISO contains Windows 10 Unilingual Family (Home Single Language). People who are looking for a Windows 10 Pro ISO will therefore be satisfied here. It is also the right tool to reinstall supermarket computers (Acer, Packard Bell, Toshiba, etc.) shipped with Windows 10 Family. Of course, the Dell, Asus or HP machines will also be compatible. 1. Download the ISO 10 installation tool from the Windows 10 CU installation . 2. Open the file and accept the license agreement. Architecture: 64-bit (x64) for most uses, if not 32-bit (x86) or "both"
5. Select " ISO File " to download a complete installation file. 6. Specify a location to download the setup and give a name to the ISO file. 7. The download starts, the file is ready. 8. 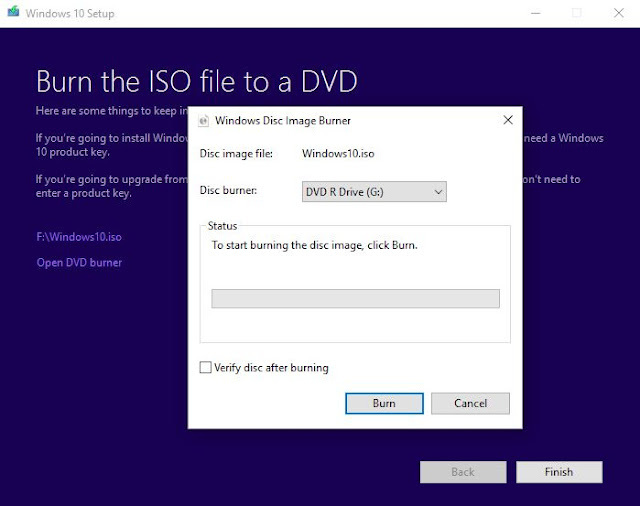 At the end of the operation, the wizard proposes to burn the ISO file to a DVD. Click Finish to exit the Microsoft tool. With this ISO file, it is then possible to burn it to DVD , create a USB key of installation of Windows 10 , save it or send it to knowledge.